will be so huge, and offered more than one store! BEYOND at Liberty View is the setting for a unique shopping venue that will include Bed Bath & Beyond, buybuy BABY, Cost Plus World Market and Harmon Face Values all under one roof. With approximately 120,000 square feet, this location will provide an unparalleled shopping experience from the Bed Bath & Beyond family of brands, bringing together physical and digital capabilities to create a more experiential shopping environment. They are also working to support the local design community. 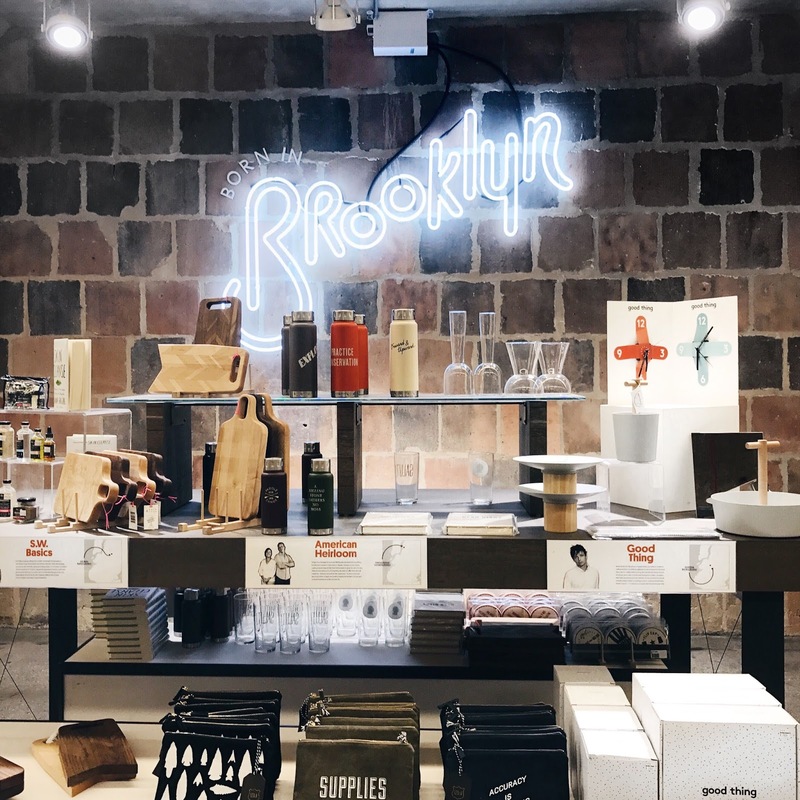 Exclusive to the Sunset Park location, BBB are proud to be offering a “Born in Brooklyn” section, presenting Brooklyn-based designers and their products. In addition to the retail space, BEYOND at Liberty View includes a unique, food hall-style dining experience. The Bay Market Kitchen serves casual American cuisine and locally brewed draft beer, wine and growlers. 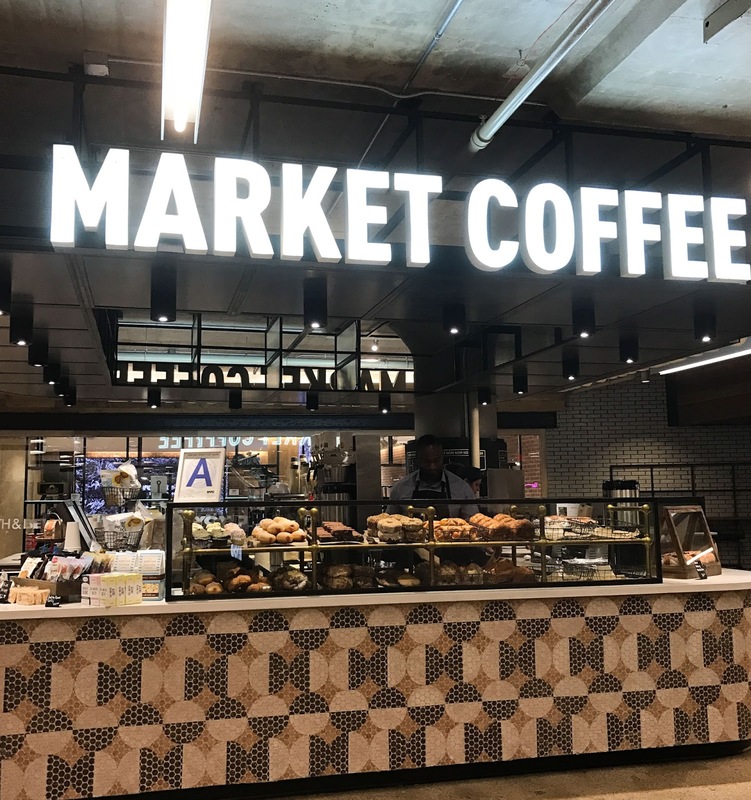 In addition to the restaurant, there are seasonal market food pods on the second floor, which feature Brooklyn-based Toby’s Estate Coffee espresso drinks, drip and pour-over coffee and locally-sourced treats and snacks. 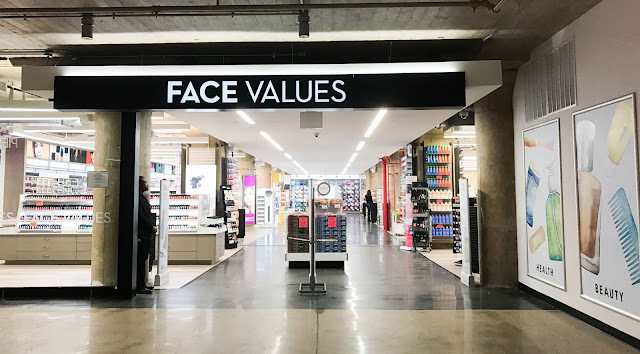 Now onto the beauty section which I was most excited about since I've never really shopped at Harmon Face Values before. 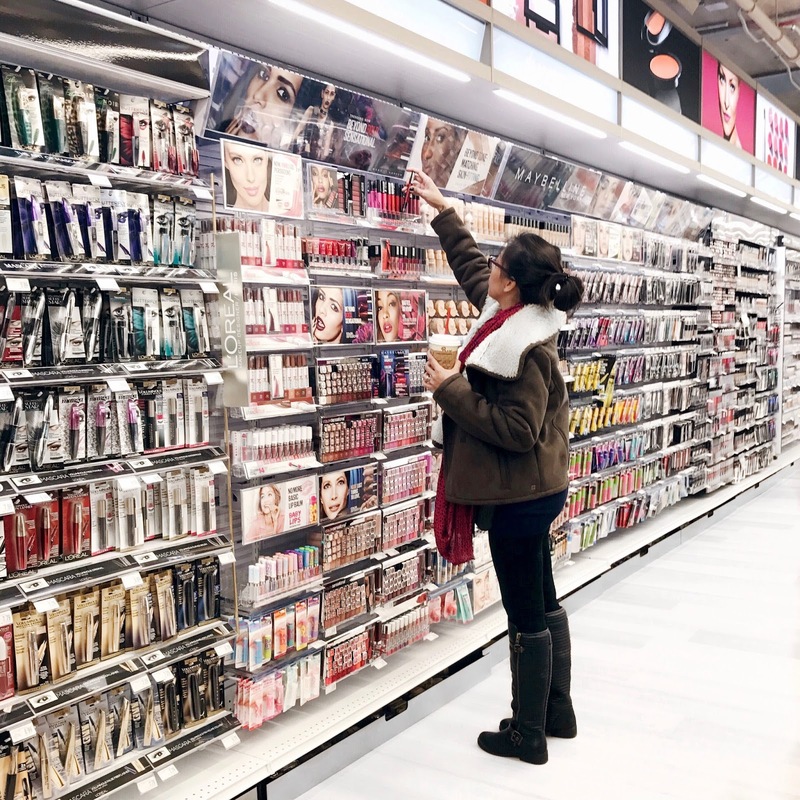 I was curious what kind of brands they carry and how do the prices compare to my local drugstores. 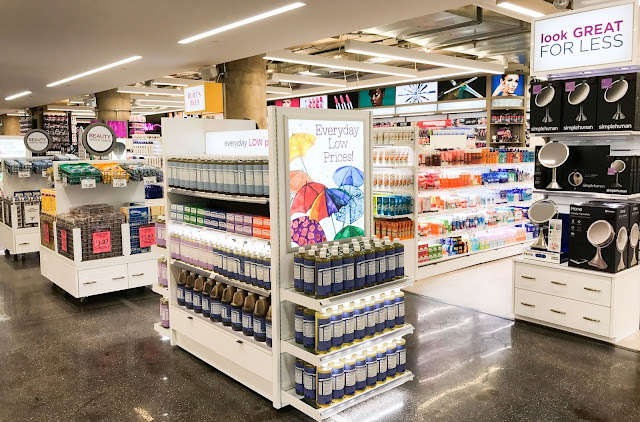 Harmon Face Values, a wholly owned subsidiary of Bed Bath & Beyond, is one of the tri-state area's leading cosmetics, health and beauty retailers with 50 free standing stores in NJ, NY, CT, FL and PA.
Also their Health & Wellness section is stocked with your OTC drugs, allergy medications and first aid needs. 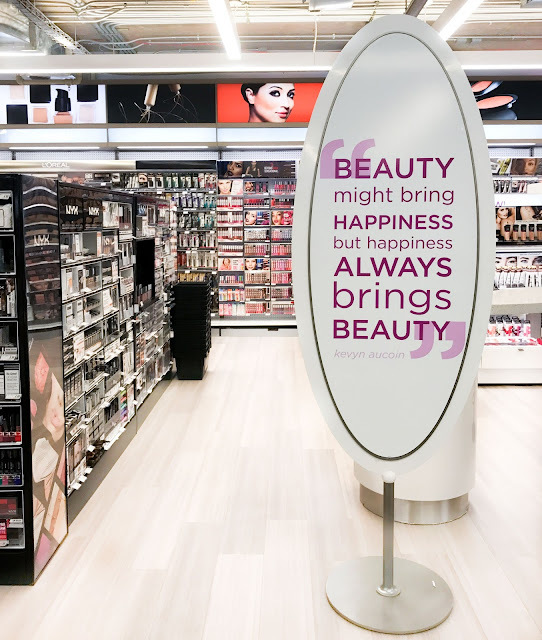 They also carry beauty tool brands that you would see in BBB such as Simple Human products and the Dyson hair dryer. There is also a Blow In and Blow out bar located beside Face Value where you can make an appointment with a stylist to get your hair wash, blow and style. Don't forget to grab their Monthly Savings ad which not only tells you which products are on sale that month but it also includes a page of coupons! I was very surprised to find more than the drugstore beauty brands here. They also carry Real Techniques makeup brushes, and most e.l.f cosmetic products. They also have brands that are carried by BBB like the Simple Human mirrors and the Dyson hair dryer. They also offer their own Harmon Face Values brand on many health and beauty items. Harmon Face Values brand products are guaranteed to be the same quality as national brands at substantial savings. 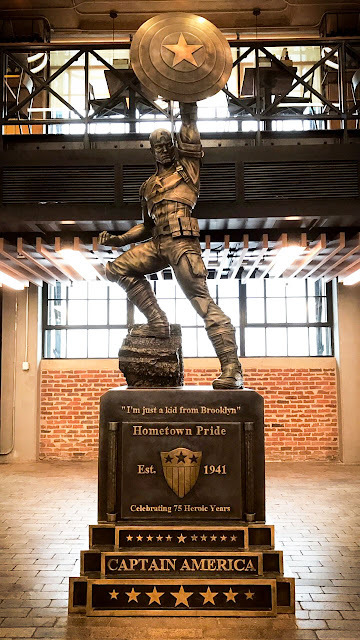 I also just had to share the Captain America statue found in the entrance lobby of the building. *Some information here were taken from a Press Release. All opinions stated on this post are 100% mine. Please see the Disclosure Policy tab for full information.